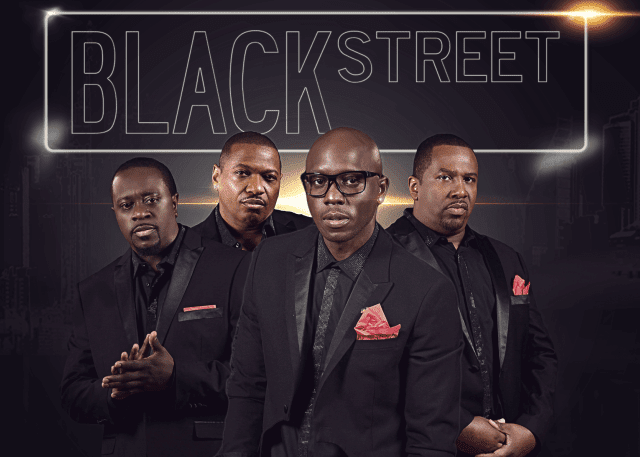 Blackstreet are the sensationally popular American R&B outfit behind the global smash hit single “No Diggity”. Reaching No. 1 on the Billboard Hot 100, storming charts worldwide and selling 1.6 million copies in 1996, this Dr. Dre-featuring R&B classic earned the group a Grammy award for Best R&B Performance and cemented their place in pop history. The track, ranked at No. 91 on Rolling Stone’s 100 Greatest Pop Songs, received new life in 2012 with a solo electronic cover from the contemporary artist Chet Faker – proving that Blackstreet’s songwriting remains as irresistible as ever. The group broke into the mainstream in 1994 with the release of their self-titled debut album, featuring the Top 40 singles “Booti Call”, “Before I Let You Go” and “Joy”. Their sophomore effort, “Another Level”, went four times Platinum in the U.S. and peaked at No. 3, leading to collaborations with Jay-Z, Janet Jackson and Ja Rule. Following the release of their third album, Blackstreet disbanded – only to reform in 2015, embarking on several hugely successful global tours. Their funky, low-slung variation of classic R&B remains as popular as ever, resonating with audiences young and old and drawing crowds at venues, events and festivals worldwide.